A linguistic system is a series of differences of sound combined with a series of differences of ideas; but the pairing of a certain number of acoustical signs with as many cuts made from the mass of thought engenders a system of values. Language can be compared to a sheet of paper: thought is its recto and sound its verso: one cannot cut the verso without simultaneously cutting the recto. Similarly, in the matter of language, one can separate neither sound from thought nor thought from sound; such separation could be achieved only by abstraction, which would lead either to pure psychology, or to pure phonology. Psychologically, setting aside its expression in words, our thought is simply a vague, shapeless mass. The linguistic entity is not accurately defined until it is delimited, i.e. separated from everything that surrounds it on the phonic chain. These delimited entities or units stand in opposition to each other in the mechanism of language. Language can…be compared with a sheet of paper: thought is the front and sound the back; one cannot cut the front without cutting the back at the same time. Of all social institutions language is least amenable to initiative. It blends with the life of society, and the latter, inert by nature, is a prime conservative force. The causes of continuity are a priori within the scope of the observer, but the causes of change in time are not. It is better not to attempt giving an exact account at this point, but to restrict discussion to the shifting of relationships in general. Time changes all things; there is no reason why language should escape this universal law. The aim of general synchronic linguistics is to set up the fundamental principles of any idiosynchronic system, the constituents of any language-state. Many of the items already explained in Part One belong rather to synchrony; for instance, the general properties of the sign are an integral part of synchrony although they were used to prove the necessity of separating the two linguistics. Writing obscures language ; it is not a guise for language but a disguise. 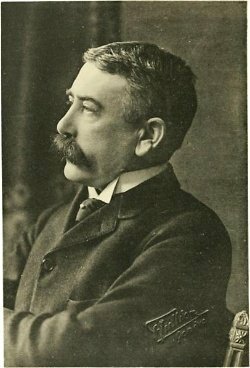 Bio: Ferdinand Mongin de Saussure was a Swiss linguist and semiotician. His ideas laid a foundation for many significant developments both in linguistics and semiology in the 20th century.